I know what you're thinking. You're here expecting to see me wax on lyrically about Kevin Campion, Steve Price, Ruben Wiki, Micheal Luck, Roger Tuivasa-Sheck, etc right? Well i hate to disappoint you but the signing I personally believe is the best in Warriors history isn't any of those guys. In fact, its not even a player. In my opinion the best signing this club has ever made is the guy sitting in the top job right now. Doyle brings to the club a wealth of experience not only from the business world but also sports administration. It was Doyle who was chosen to rescue New Zealand Rugby League after the organisation were weeks away from defaulting on a loan repayment that would have bankrupted the game in this country. 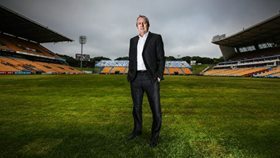 Doyle was brought in to implement the proposals put forward by Sir John Anderson in his damning report on the state of New Zealand Rugby League in 2009. It was after implementing a lot of those proposals that the NZRL was given $3 million of funding by SPARC which saved league in this country. When Doyle left the NZRL they were in surplus and had enjoyed a steady increase in membership numbers. 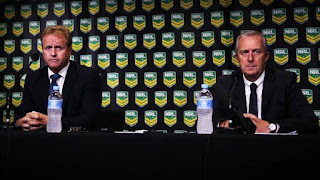 It wasnt long before the Australian National Rugby League (NRL) came headhunting Doyle and this time he was asked to be the deputy making him the second most powerful man in the game. While there he started the Integrity Unit that saw players get harsher penalties for bringing the game into disrepute. Though the behaviour of players may or may not have improved you are no longer seeing the NRL or the clubs trying to hide incidents any longer. A chance to come back to New Zealand saw Doyle accept an offer from Eric Watson to lead the Warriors. Doyle stated that a player would not be released if it made the team weaker unless a better replacement was found and within no time he had granted Sam Tomkins a release and signed up Roger Tuivasa-Sheck in his place. A move that Im sure most fans would agree totally lived up to his new mantra. Not long after that Issac Luke was signed. Dean Bell was ushered out and with that the days of the club overpaying to sign players, including our own juniors, were gone with him. The new age in Warriors recruitment had arrived. The expectations on the team have also increased with Doyle wanting to change the perception of the Warriors being a rollercoaster team to one that regularly competes in the finals rounds while playing an attractive brand of league. There is also pressure on the backroom staff to increase memberships numbers not only through season passes but also social media. One of the first things Doyle did was move the football department out of the main office and move the administration and marketing team downstairs so he could work more closely with them. And he certainly works. Hard. Doyle is well known for being the first one at the club and always one of the last to leave. You can expect to see him drive in the clubs gates at 6am and leave some 14-18 hours later. What is easy to forget is Doyle actually doesn't need to work another day in his life ever. Thanks to his efforts while commander at Navman, which saw the company grow from $3 million to $500 million a year, he is independently wealthy and certainly doesn't do the Warriors job for the money. As a season member from 1995 he is doing this just as much for the challenge as he is for his love of the game. If you haven't already started rejoicing when Doyle's signing was announced then believe me, you will soon enough. Mark my words. Jim Doyle is the greatest signing in this clubs short history and we'll all see that soon enough. "Faither: It's not just a slogan, it's a movement"